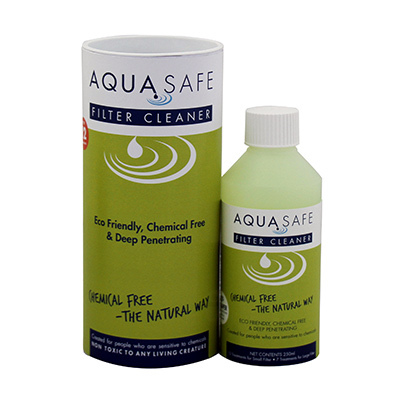 AquaSafe Natural Spa Clarifier outperforms other clarifiers at removing dirt and oil from spa and hot tub water. When used regularly, this effective formula also keeps metals down, removes oils and keeps the filter cleaner longer. 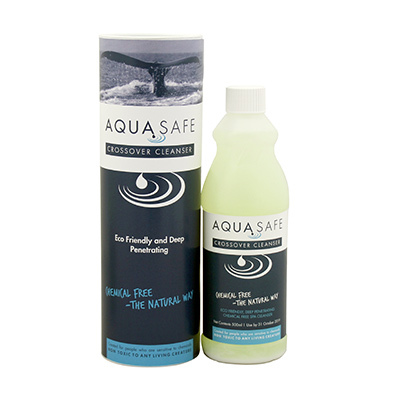 Unlike synthetic, petroleum-based clarifiers, AquaSafe Natural Spa Clarifier actually removes oils from the water. This unique, technology reliably keeps spas and hot tubs clear and clean, easily and effectively. It is also a very efferctive treatment for swimming pools. 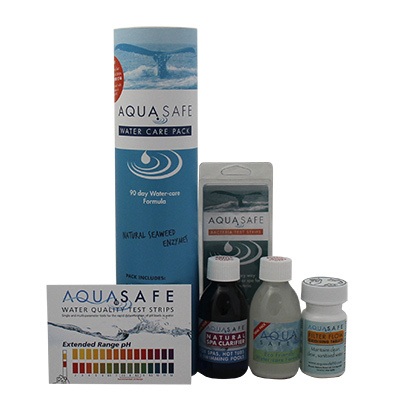 Standard dosage: Use 1 fluid oz (30ml) of AquaSafe Natural Spa Clarifier for every 500 gallons of spa or hot tub water. No premixing required. Cloudy water dosage: For especially dirty or cloudy water, double or triple the standard dosage. Weekly maintenance: To keep spa or hot tub water clear and clean, use AquaSafe Spa Natural Clarifier once a week at the standard dosage. 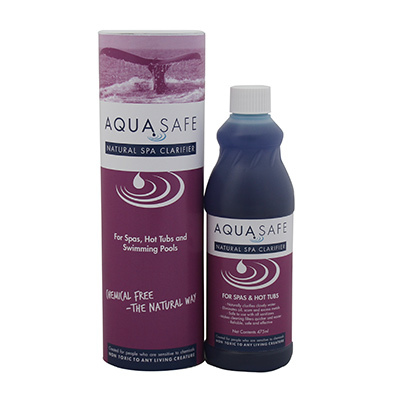 For spas and hot tubs that get heavy use or for commercial spas and hot tubs, AquaSafe Natural Spa Clarifier may be used twice weekly at double or triple dosage. 1. Make sure filter is clean and all equipment is working properly. 2. 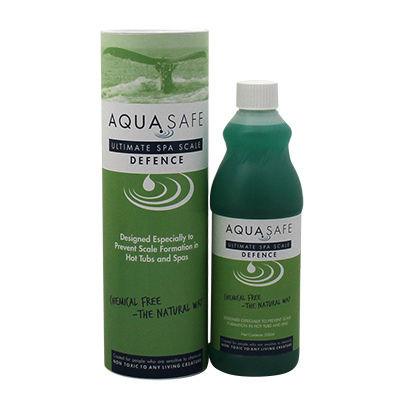 Add the calculated amount of AquaSafe Natural Spa Clarifier into spa or hot tub with filter running and jets on high. Run filter system continuously for at least one hour after application.